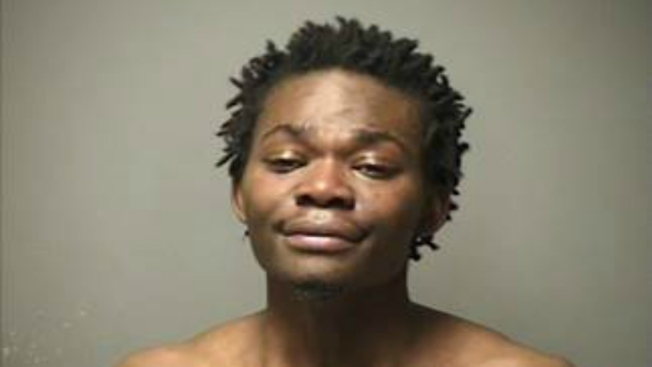 A domestic assault lead to a three-hour standoff with police in Manchester, New Hampshire. Police responded to the Dave St. home on Jan. 7 to find a male and female standing inside the entrance of the residence. When police asked the man, later identified as Alame Simwerayi, 24, to exit the house, he ignored the request and pulled the elderly female into the home with him. Authorities were able to make phone contact with a woman inside of the house. She identified herself as Simwerayi's 19-year-old sister. She told officers that her brother had broken into the home. Once inside, he allegedly assaulted his sister with a glass bottle. He also reportedly threatened to kill everyone inside the home before barricading the doors of the residence. His 29-year-old sister, three-year-old nephew, mother and grandmother were inside of the home. A 30-year-old disabled woman was also in the home at the time of the incident. Three of his family members were able to leave the residence after an hour of being trapped inside. The Manchester Police SWAT team ultimately ended the nearly three-hour standoff by overpowering him as he stood near an open door. Simwerayi is charged with burglary, five counts of criminal restraint, simple assault, five counts of criminal threatening and resisting arrest.